Your canal boat: your home on the water! As captain of your own canal boat, you'll be living in, and driving, your personal cruiser. Don't worry, these boats are very easy to operate; you don't need any license or experience! 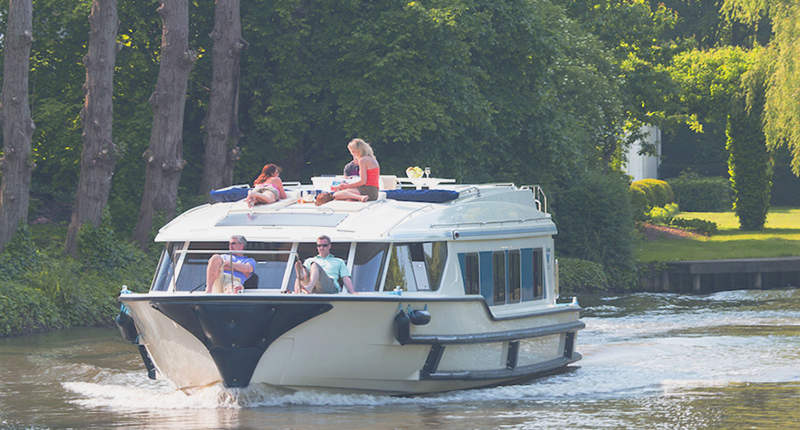 Think about your river cruiser as your home on the water, fully equipped with all the amenities of home, including a large and well decored interior. Excellent standards of customer service, cleanliness and support come with all boats - whatever the rating! These outstanding boats are the newest models in our fleet, and with that comes up-to-date engineering and an array of modern & carefully considered features and fittings. Our Budget range comprises boats previously classed as 1 and 2-star under our old rating system. These older boats are our ‘much-loved classics’. Our premier fleet consist solely of our state-of-the-art Horizon range and Vision range. Click below to find out why these boats re-define luxury waterway cruising. 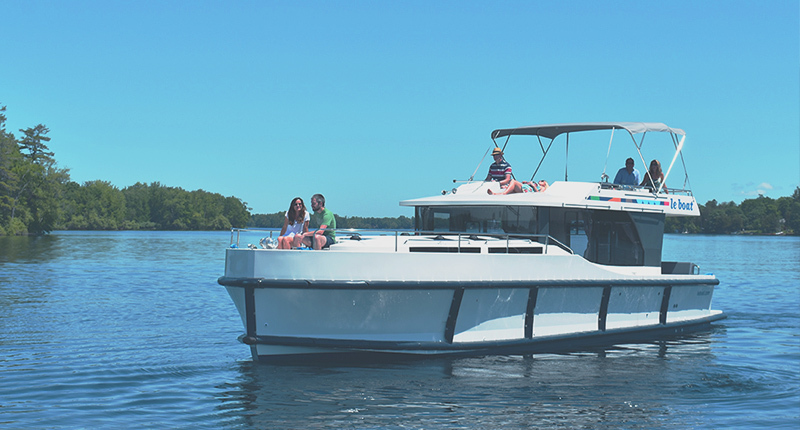 Designed and built exclusively for Le Boat, we carefully listened to our customers and challenged ourselves to design a range of boats that tick all of the boxes in terms of social/communal space, ease of handling, accessibility and on-board features. Our Vision range continues to turn heads on Europe's waterways, with its sleek design, enviable sundeck space and premier onboard features.